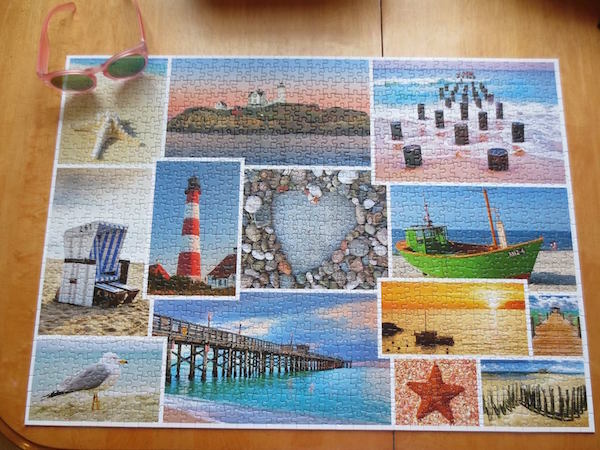 Winners!!! 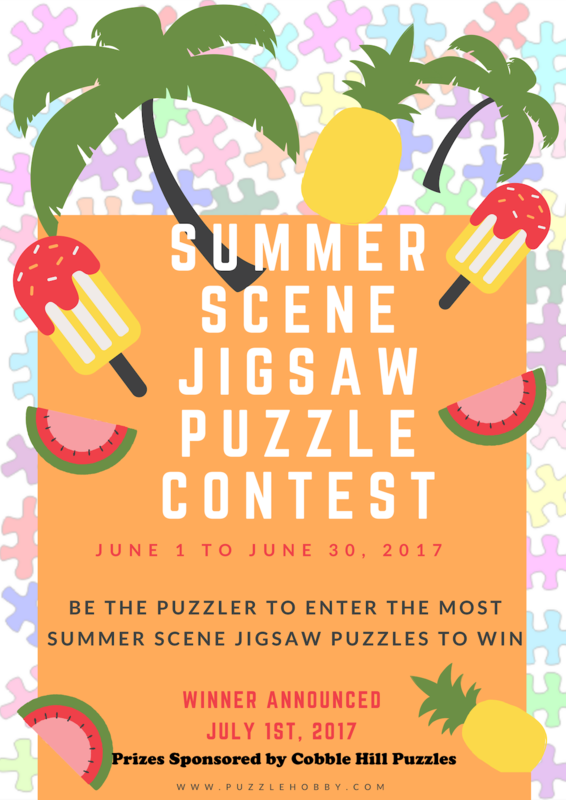 Choose your prize - we will contact you soon! 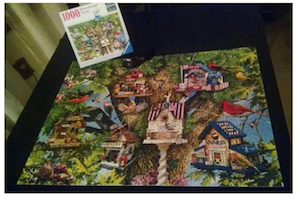 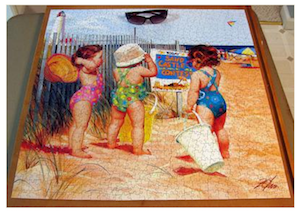 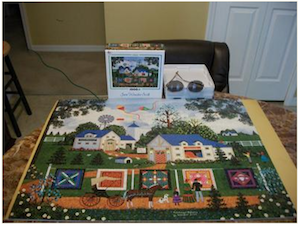 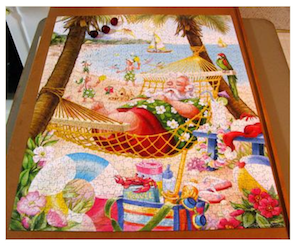 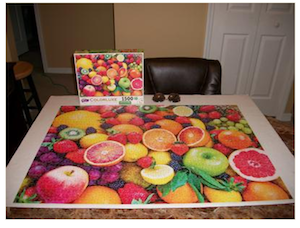 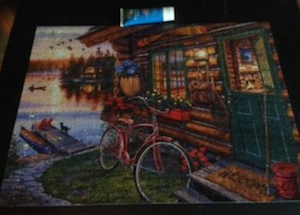 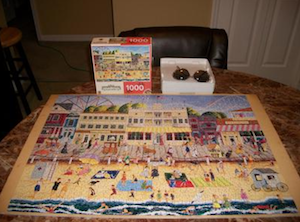 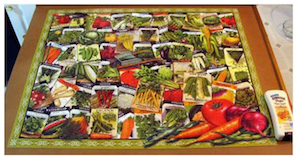 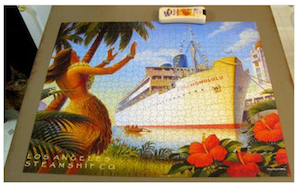 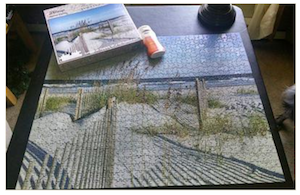 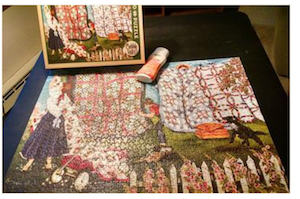 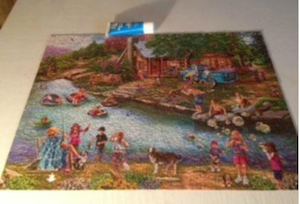 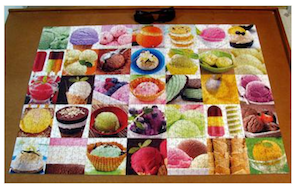 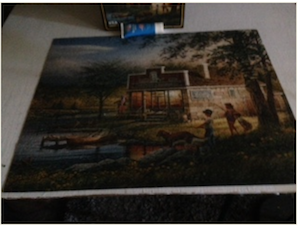 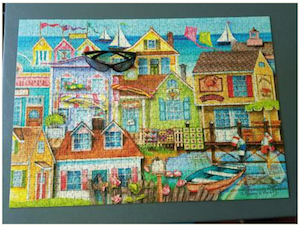 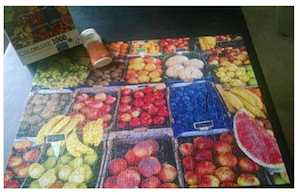 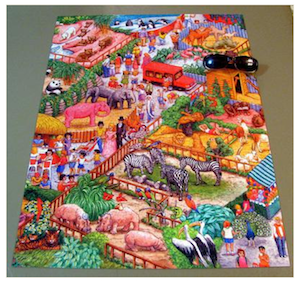 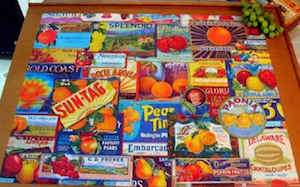 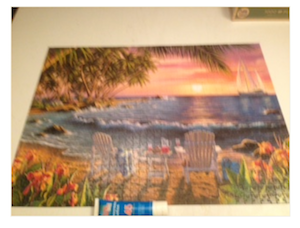 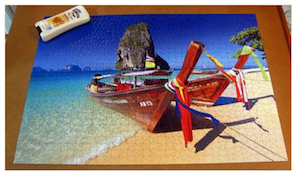 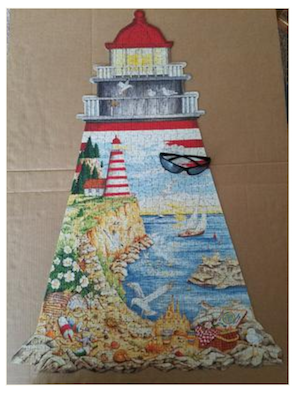 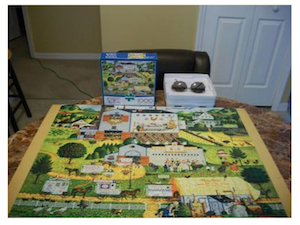 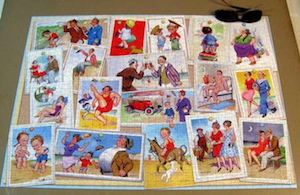 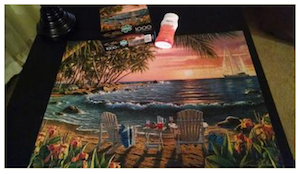 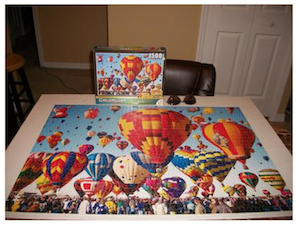 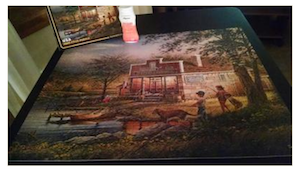 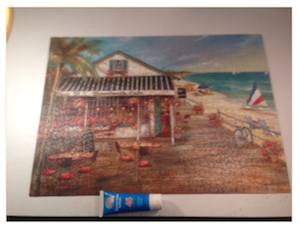 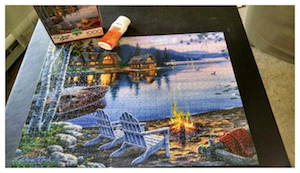 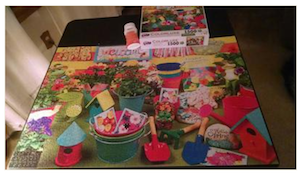 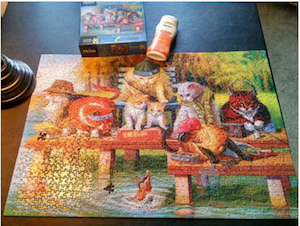 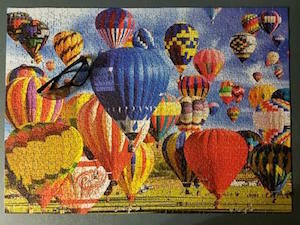 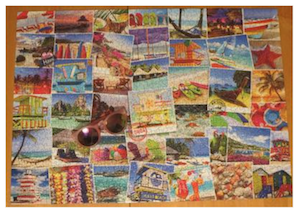 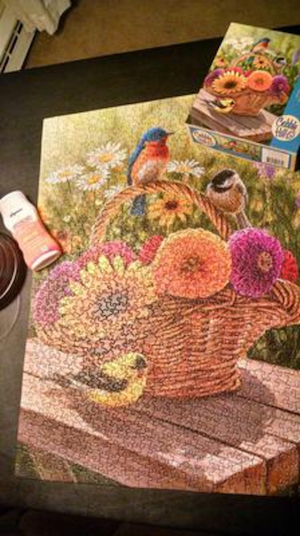 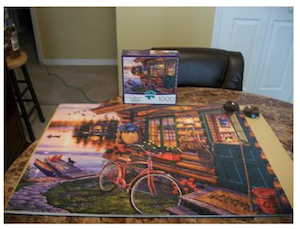 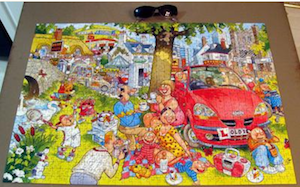 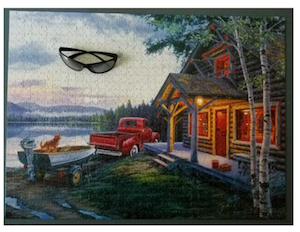 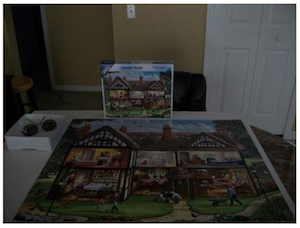 A big Thank You to all Puzzlers who entered completed photos to the contest. 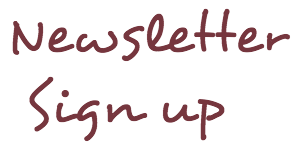 We look forward to seeing you in the next one! 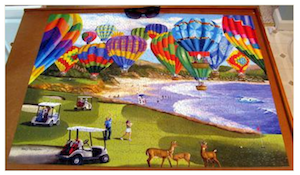 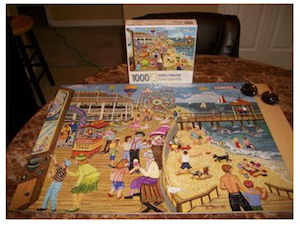 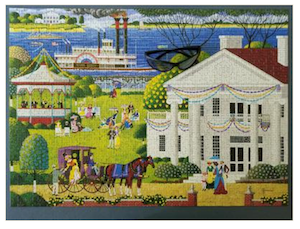 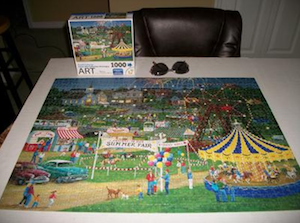 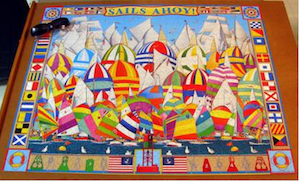 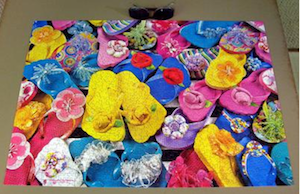 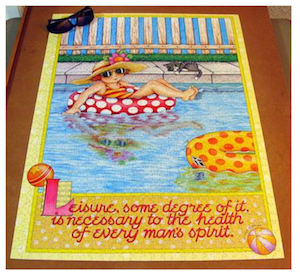 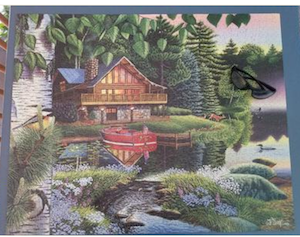 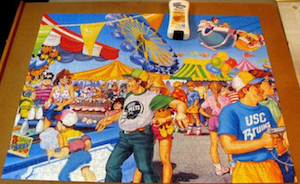 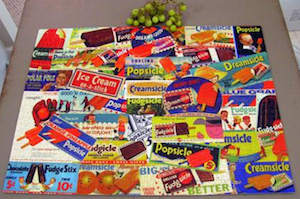 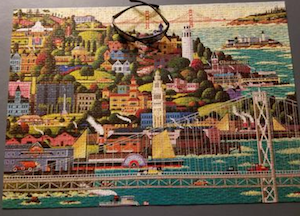 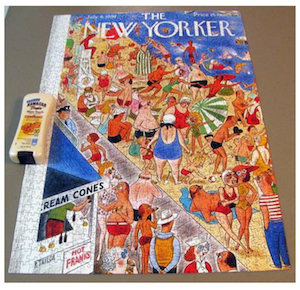 Cindy Skroch-Mega Puzzles -Hometown Collection-San Francisco-1000 Pieces - 25 3/4" x 18 15/16"
Jean Belloff -Master Pieces-On the Boardwalk-1000 Pieces -26.75" x 19.25"
Julie Smith-Ceaco-Bemusement Park-1000 Pieces-23 x 29"
Julie Smith-Hallmark-Ripe For The Picking-1000 Pieces - 24 x30"
Cindy Skroch-White Mountain Puzzles-Paradise-1000 Pieces -Mike Flentje -24 x 30"
Julie Smith - White Mountain Puzzles-Sails Ahoy- 1000 Pieces -24 x 30"
Tammy Eddinger - Buffalo-Butterflies and Flowers-1000 Pieces-James Hartman - 27 x 20"
Tammy Eddinger -Cobble Hill Puzzles-Summer Bouquets-1000 Pieces-Rosemary Millette 2014 - 19.25 x 26.625"
Julie Smith-MasterPieces Colorize-Flippity Flop-1000 Pieces -19.25x 26.75"
Mike Kilbourn-Bits and Pieces-Summer Outing-1000 Pieces-Mary Thompson - 20 x27"
Julie Smith-Ceaco Zoo with Oddities-1000 Pieces - Gale Pitt - 20 x 27"
Cindy Skroch- Colorluxe-Up Up and Away-1000 Pieces- 20 x 27"
Tammy Eddinger -Prism -Fishing on the Docks - 1000 Pieces - Bryan Moon - 26.75" x 19.25"
Julie Smith -Jumbo/Falcon Deluxe - Seaside Antics - 1000 Pieces - Donald McGill - 26.5 x 19.25"
Julie Smith - FX Schmid - Memories on a Stick - 1000 - 20 x 27"
Jean Belloff - Puzzle Collector ART - Country Fair - 1000 Pieces - 20 x 27"
Jean Belloff - White Mountain Puzzles -Summer House -1000 Pieces - 24 x 30"
Tammy Eddinger - Heritage Puzzle Inc - Wild Dunes -1000 Pieces -Peter Doran - 24 x 30"
Julie Smith - Mattel - Aloha Towers - 1000 Pieces - Kerne Erickson - 22 x 28"
Mike Kilbourn -White Mountain Puzzles -Summertime - 1000 Pieces- Terry Redlin -24 x 30"
Julie Smith - Ravensburger - Picnic Time -1000 Pieces- 27.x 20"
Jean Belloff - Colorluxe - Albuquerque Balloon Fiesta - 1500 Pieces - 23 x 33"
Cindy Skroch - Ravensburger - Down the Wharf - 1000 Pieces - Nancy E. Mink - 27 x 20"
Tammy Eddinger - Colorluxe - Fresh Sunday Market Fruit - 1000 Pieces - 27 x 20"
Julie Smith - Ravensburger - Phra Nang Beach, Krabi, Thailand - 1000 Pieces - 20 x 27"
Tammi Parnell -Eurographics - Globetrotter - Beaches -1000 Pieces- 26.5 x 19.25"
Julie Smith - White Mountain Puzzles - Victory Garden - 1000 Pieces - Kate Ward Thacker - 24 x 30"
Tammy Eddinger - Colorluxe - Gardening Time - 1500 Pieces - 33 x 27"
Jean Belloff-Ceaco - Patchwork Sampler - 1000 Pieces - Jane Wooster Scott - 27 x 20"
Julie Smith - Ceaco - Floating - 1000 Pieces - Mary Engelbreit - 27 x 20"
Mike Kilbourn - Buffalo - Summertime - 1000 Pieces - Kim Norlien - 26.75 in x 19.75"
Jean Belloff - Bits and Pieces - Ice Cream On The Boardwalk - 1000 Pieces - 20 x 27"
Tammy Eddinger - Cobble Hill Puzzles Laundry Line - 1000 Pieces -Shelley McVittie - 26.625" x 19.25"
Julie Smith -Vermont Christmas Company -Santa's Vacation - 1000 Pieces - Randy Wollenmann - 24 x 30"
Julie Smith - White Mountain Puzzles - Soaring Colors - 1000 Pieces - Mary Thompson - 24 x 20"
Julie Smith - Remarks - Ice Cream - 1000 Pieces - 19.25" x 26.625"
Jean Belloff - Buffalo - Sunnyside Up - 1000 Pieces - Charles Wysocki - 26.75" x 19.75"
Julie Smith - Masterpieces, Joys of Childhood - Beach Babies - 1000 Pieces - Donald Zolan - 25 x 25"
Tammy Eddinger - Ravensburger - Bird Village - 1000 Pieces - Lori Schory - 27 x 20"
Mike Kilbourn - Cobble Hill Puzzles - Boardwalk Cafe - 1000 Pieces - Rune Manning - 26.625" x 19.25"
Tammy Eddinger - White Mountain Puzzles - Summertime - 1000 Pieces - Terry Redlin - 24 x 30"
Tammy Eddinger - Buffalo - Lake Reflection - 1000 Pieces - Darrell Bush - 26.75" x 19.75"
Jean Belloff - Colorluxe - Fresh Mixed Fruits - 1500 Pieces - 23" x 33"
Cindy Skroch - Buffalo - Cabin Fever - 1000 Pieces - Darrell Bush - 26.75" x 19.75"
Cindy Skroch - The Guiding Light - The Guiding Light - 1000 Pieces - 26 x 38"